Buhari’s asset declaration fraud is more damning than Onnoghen’s, yet it is Onnoghen who has been illegally “suspended” and pilloried in the media. In this piece I’ll show you why Buhari is a double-dyed scammer who should be in jail. First, it was Buhari who voluntarily said he would publicly declare his assets. The Punch of February 20, 2015 reported him to have said: “I pledge to PUBLICLY declare my assets and liabilities, encourage all my appointees to publicity declare their assets and liabilities as a pre-condition for appointment.” However, several months after getting into power, he refused to declare his assets publicly. In the early days of the regime, I frantically reached out to many people in the president’s inner circle with whom I have a personal relationship and begged them to prevail upon the president to make good his campaign promise. When they weren’t forthcoming, I wrote a column on June 13, 2015 titled “Mishandling of Asset Declaration May Doom Buhari’s Presidency.” I republished it weeks later. After the column was published a second time, one close aide of the president told me in confidence that Buhari would NEVER publicly declare his assets because it would demystify him. I asked why and he said it’s because the man is very wealthy and that his base in the North and his supporters down South would feel betrayed if they knew how much he’s actually worth. He said Buhari declared close to a billion naira in his asset declaration form and has choice property all over the country worth billions of naira. What was worse, he said, Buhari didn’t even officially declare everything. That was when it dawned on me that Buhari was a deodorized and carefully packaged scammer. For instance, Buhari routinely received generous donations from foreign governments during previous runs for present. The Saudi Arabian government has given him the equivalent of up to two billion naira in two election cycles, and he always instructed his personal aide to deposit the money into his personal bank account. The late Muammar Gaddafi also once gave him at least $3 million and he deposited it into his personal bank account. He was also the sole signatory to the donations that everyday Nigerians made to his campaign through scratch cards between 2014 and 2015. The money was never used for the presidential campaign, and it has not been accounted for up to now. (An old woman in Kebbi State donated her entire life saving of N1 million that she got from selling kosai (bean cake) and died in penury a year later. Buhari didn’t even acknowledge her death!). Buhari did not declare all these monies in his asset declaration form, yet he had close to a billion naira in cash in his declaration form that he is hiding from the world. They say a liar must have a good memory. But Buhari is a bad liar. After so much pressure from many of us, Buhari’s strategists came up with a plan to deceive Nigerians and deflect attention from Buhari’s asset declaration fraud. His spokesman was told to issue an intentionally vague and incomplete “public asset declaration” that would leave room for plausible deniability in case he is caught. That was why there were no specifics other than unhelpfully broad claims that the president had a house in Abuja (which he earlier said he didn’t have during the campaigns), Kano, Kaduna, Daura and Port Harcourt; some cattle and livestock; “not less than 30 million naira” (how more deceptively vague can you get than that? Recall that a few months earlier he said he had only million naira left in his account! ); “a number of cars” (we weren’t told how many); and so on. 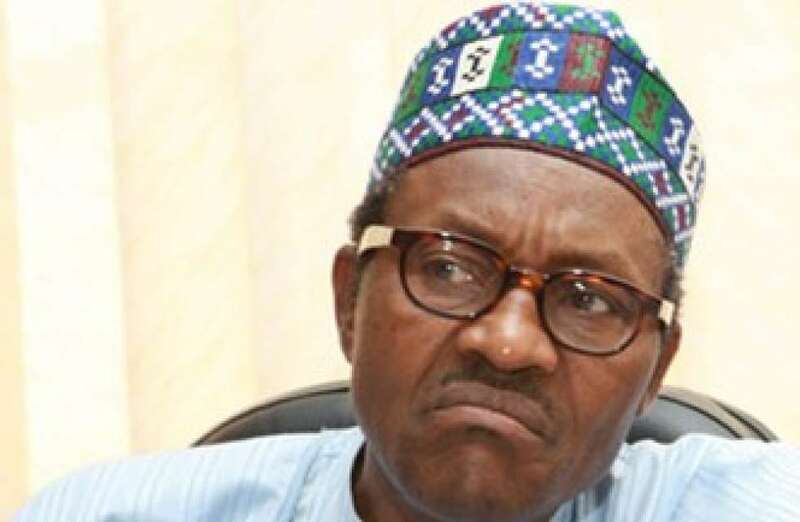 Compare Buhari’s “public asset declaration” with the late President Umaru Musa Yar’adua’s more transparent, public declaration and the face of Buhari’s fraud will become even more nakedly apparent. Many Nigerians weren’t deceived by the fraud. They asked that he make public a copy of his declaration like Yar’adua (who didn’t even campaign to publicly declare his assets) did. In response, the president’s spokesperson said, “As soon as the CCB is through with the process, the documents will be released to the Nigerian public and people can see for themselves.” It’s been more than two years, and the declaration hasn’t been released to the public. What is worse, I have confirmed from friends at the Code of Conduct Bureau that the presidency took away Buhari’s asset declaration form from the place. So, get this: Buhari is the ONLY public officer whose asset declaration does not exist at the Code of Conduct of Bureau. Of course, it’s because he wants to hide his fraud from scrutiny. This double-dyed fraud becomes even more annoying when you remember what Buhari says when he is asked to publicly show his asset declaration form as he promised he would. During the one and only media chat he did as president, he challenged journalists to use their skills in “investigative journalism” to find the form. What sort of dumb logic is that? On your own, you promised to publicize your asset declaration form. Then you took it away from the only place it’s legally supposed to be, and you now challenge journalists to use their investigative skill to find it. You want them to invade your home, hold you at gunpoint, and force you to produce it? Well, journalists have used the best resources they have to find the form. They invoked the Freedom of Information Act and requested the CCB to release Buhari’s asset declaration form. On September 21, 2016, Code of Conduct Bureau Chairman Sam Saba said the Bureau couldn’t release Buhari’s asset declaration form because the law that set up the bureau forbids him from making the forms public without Buhari’s consent. That’s why the Bureau also declined requests to release the asset declaration forms of other higher-ups in the Buhari regime. Now, how did Dennis Aghanya, Buhari’s former media aide and current SA on justice, get access to CJN Onnoghen’s asset declaration form when the law forbids the public disclosure of public officials’ asset declaration forms without their consent? Why isolate someone for punishment for an offense that everyone, including the people meting out the punishment, is guilty of? Obasanjo and Buhari; Who is a victim of age?